December 9, 2017 by Joon Yun, M.D. Establishment of the National Institute of Nutrition and Food Health (NINFH) is envisioned, with a mission to seek fundamental knowledge about food and the application of that knowledge to enhance health, lengthen life, and reduce illness and disability. This mission would be distinct from other public institutions that serve various food system functions. One way to establish the NINFH is within the National Institutes of Health (FY 2017 budget $33.1 billion) as the 28th institute and center. Another way to establish the NINFH is as an independent institution—similar to the founding of the National Cancer Institute (FY 2017 budget $5.4 billion) through the National Cancer Act of 1937—that requests budget directly from the United States Department of Health and Human Services (FY 2017 budget $1.1 trillion). November 26, 2017 by Joon Yun, M.D. 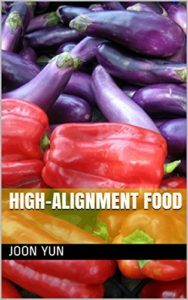 The single most important thing that has changed about your food is the alignment of interest. Until modern times, your food was provided by kin with a vested interest in your well-being. Today, food is provided by counterparties (food companies, restaurants, etc.) who profit from your consumption. They compete among themselves to bait you with food coloring and salty, sweet, and fatty flavors while using chemicals, antibiotics, preservatives, pesticides, substitutes, and additives that increase profits, irrespective of their long-term effects on your body. There is a never-ending food fight in society about what constitutes healthy food as counterparties game every healthy food trend to their advantage. The future of food will be about managing counterparty risk, understanding food chain provenance, and restoring alignment between you and your food provider. Was caffeine the fuel that enlightened the European Age of Reason (17th–18th centuries) after the alcohol-fueled haze of the Dark Ages? Christopher Columbus’ 1502 encounter with a Mayan trading canoe in the New World led to the introduction of cocoa into Europe on a large scale. Tea arrived in Portugal, and coffee through Italy, in mass scales later in the century. 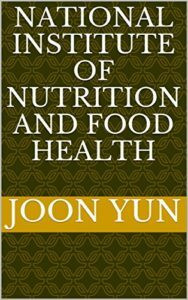 The coffee bean, tea leaf, cocoa bean, and kola nut are naturally bitter, but the lure of their psychoactive properties encouraged their recombination with fat (often milk) and sugar to render more palatable foods and drinks such as coffee and chocolate. To trace the introduction of psycho-stimulants such as coffee, tea, cocoa, and sugar into Europeans is to trace the history of colonialism and imperialism. I don’t remember this being mentioned in history class. Without the six pots of coffee a day that filled his mental tank, would the world today still remember Voltaire (1694–1778), a key figure of the French Enlightenment who anchored the greater European Enlightenment?